If you haven’t heard yet, too much sugar is bad for you. It converts to fat in your liver, it severely compromises your immune system, it contributes to both insulin resistance and high levels of “bad” LDL cholesterol in your blood, and it fosters nutrient deficiencies and the demineralization of your bones and teeth. This is why you should avoid eating much refined, white sugar and choose sweetened foods and beverages in extreme moderation. But the truth is, like many people, I have a wicked sweet tooth. I have been making luscious, gourmet desserts vocationally and, at times, professionally, for most of my life. It’s pretty frequent that I want to enjoy something sweet after a meal—be it a sliced, ripe pear or a spiced pear-hazelnut tart with a Cabernet and dark chocolate glazing. Stevia is supposed to be a natural alternative to sugar that doesn’t spike your blood glucose or contain highly-suspicious chemicals like sucralose (the yellow packet) or aspartame (the blue packet). This is supposed to make it safe for diabetics and people with other metabolic conditions that require them to limit their sugar. Stevia is a relatively easy-to-grow, tender herb in the chrysanthemum family called Stevia rebaudiana. Originally native to South America, stevia’s leaves have been used for centuries by native peoples in Paraguay and Brazil to sweeten their yerba mate and other stimulant beverages. Stevia is now cultivated in Asia, and North and South America. Stevioside, the main ingredient in stevia (the two terms are often used interchangeably), is virtually calorie-free and hundreds of times sweeter than table sugar. In addition to its use as a sweetener, Stevia has been used medicinally for over 1,500 years as a traditional remedy for diabetes and gum disease. 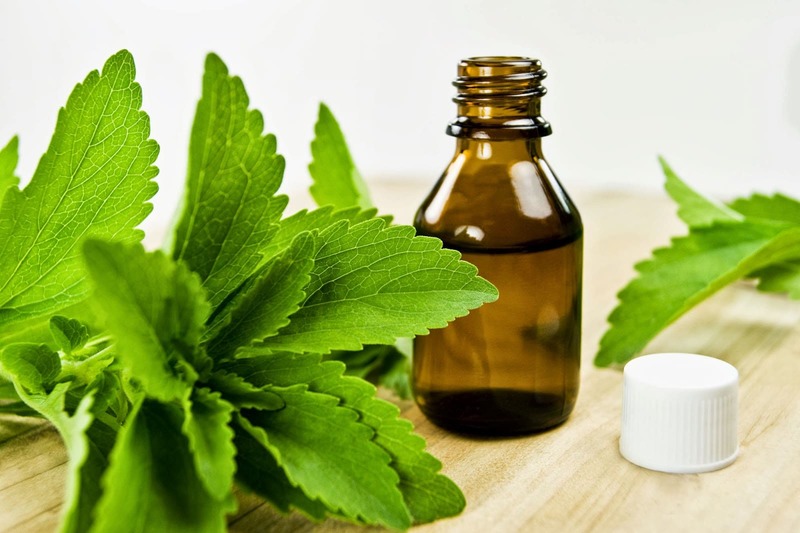 Independent researchers’ preliminary scientific studies of stevia show that it may indeed improve the function of cells required for insulin production in the pancreas. It may also improve glucose tolerance in people with diabetes. 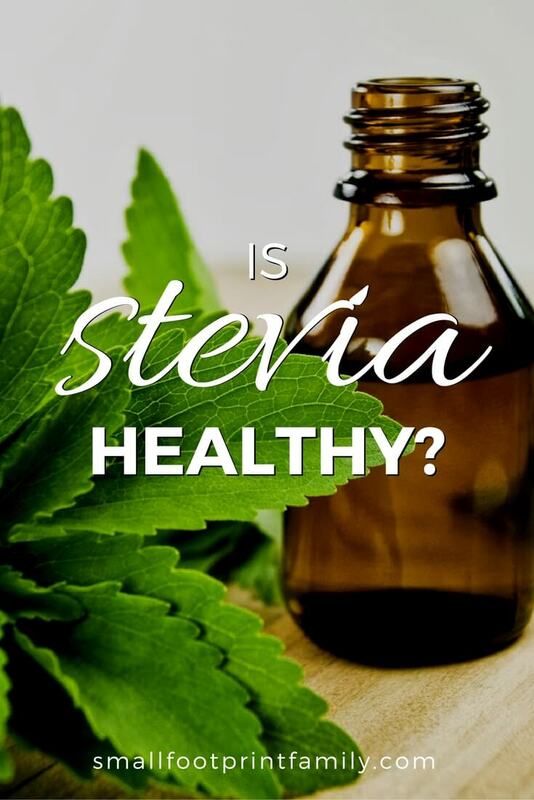 Stevia is not a carbohydrate, therefore it is safe for diabetics, and unlike other sweeteners, it does not promote the growth of candida or other intestinal parasites. Also unlike other sweeteners, stevia has been reported to possess anti-viral properties. Preliminary evidence suggests stevia also possesses blood pressure lowering properties and may be a useful treatment for hypertension. Because stevia has a negligible effect on blood glucose, it is attractive as a natural sweetener to people on carbohydrate-controlled diets. However, health and political controversies have limited stevia’s availability in many countries; for example, the United States banned it in the early 1990s unless labeled as a supplement. To stevia’s boosters, there’s no debate. The herb has been consumed without apparent harm in different parts of the world for many years, they argue. No reports of any adverse reactions have surfaced after 30 years of use in Japan, for instance. Would small amounts of stevia also cause reproductive problems? Do these effects also happen in humans? No one knows. In the laboratory, steviol can be converted into a mutagenic compound, which may promote cancer by causing mutations in the cells’ genetic material (DNA). Very large amounts of stevioside can interfere with the absorption of carbohydrates in animals and disrupt the conversion of food into energy within cells. While this may help adults with diabetes, such an effect “may be of particular concern for children,” says Huxtable. In spite of these preliminary studies, stevia has made a recent commercial breakthrough. Hundreds of new products including teas, potato chips, dressing and beverages sweetened with it have been introduced around the world in the last five years. Rebiana is the trade name for a zero-calorie, stevia-based sweetener containing mainly a patented, chemical extract of stevia called rebaudioside A (Reb-A). In 2007, The Coca-Cola Company announced plans to obtain approval for its new product, rebiana, for use as a food additive within the United States, as well as plans to market rebiana-sweetened products in 12 countries that allow stevia’s use as a food additive. In May 2008, Coke and Cargill announced the availability of Truvia, a consumer brand stevia sweetener containing erythritol, Rebiana, and natural flavors, which the FDA permitted as a food additive in December 2008. Shortly afterward, PepsiCo and Pure Circle announced PureVia, their brand of stevia-based sweetener, which contains erythritol, isomaltulose, Reb-A, cellulose powder and natural flavors. Since the FDA permitted Truvia and PureVia, both Coca Cola and PepsiCo have created products that contain their new sweetener. Critics note that, even today, the FDA has not actually permitted the stevia plant itself to be used as a food additive, but only the patented Reb-A extract. Stevia occurs naturally, requiring no patent to produce it, which makes it a tough competitor in the sugar substitute business. As a consequence, since the import ban in 1991, marketers and consumers of stevia have shared a belief that the FDA acted in response to industry pressure, and even violated its own standards for approving traditional plant foods to keep it off the market. Personally, I am very suspicious of people who try to sell me patented, chemical extracts of what were natural, whole plant substances, even (and perhaps especially) when approved by the FDA. And I don’t think sugar alcohols like erythritol, “natural flavors,” and other factory-made, food-like chemicals are compatible with eating a whole food diet. So I’ll be skipping the Truvia and PureVia in favor of whole stevia leaf or minimally-processed stevia liquids and powders that are easily found at most health food stores. You can even order good quality stevia online. Stevia is available in both a whole, leaf form and as Stevioside, the extracted sweet principle, sold as a granular white powder or liquid. The crude Stevia leaves and herbal powder (green) are reported to be 10-15 times sweeter than table sugar. The refined extracts of Stevia called steviosides (a white powder, 85-95% Steviosides) claim to be 200-300 times sweeter than table sugar. My experience is that the herbal powder is very sweet, whereas the refined liquid or white powder extract is over-the-top, tongue-numbingly sweet, and needs to be diluted to be properly used. Most stevia products have a slight bitter aftertaste, also characteristic of licorice. Some brands and formulations have more bitterness than others, so some people just can’t get past the aftertaste the first time they try stevia. If you are one of those people, you might want to experiment with a few brands and formulations to find the type of stevia you like. While commercial stevia extracts are widely available, you can easily and cheaply make your own liquid extract from whole stevia leaves or from the green herbal stevia powder. Simply combine a measured portion of stevia leaves or herbal powder with pure USP grain alcohol (Brandy or Scotch will also do) and let the mixture sit for 24 hours. Filter the liquid from the leaves or powder residue and dilute to taste using pure water. The alcohol content can be reduced by very slowly heating (not boiling) the extract and allowing the alcohol to evaporate off. A pure water extract can be similarly prepared, but will not extract quite as much of the sweet glycosides as will the alcohol. Either liquid extract can be cooked down and concentrated into a syrup. For baking, a teaspoon of stevia liquid, or 1/3 to 1/2 tsp. stevia extract powder, is equivalent in sweetness to a whole cup of sugar. This makes stevia tricky to bake with. Since stevia lacks the same properties as granulated sugar, some bulk must be added to serve the same function as sugar. For example, stevia alone cannot soften cake batter, caramelize, enhance browning, or facilitate the fermentation of yeast. There are stevia products on the market that add maltodextrin (corn-derived, usually) and other industrial starches and fibers to create a 1-to-1 substitute for sugar, but these additives are not suitable for all people, especially those eating Paleo-style, raw or according to the SCD / GAPS diet. To bulk up the stevia naturally, you will need to replace 1 cup of sugar with 1/3 cup of bulk. Bulk can be yogurt, apple sauce, fruit juice, fruit purée, egg whites, or water. Let’s say you plan to use apple sauce as your bulking agent. In this instance, you would use 1 tsp. liquid stevia plus 1/3 cup apple sauce to equal 1 cup of sugar. Or if you’re already making something that contains a bulking agent, for instance banana bread, you would use 1 tsp. liquid stevia plus an extra 1/3 cup banana puree to account for a cup of sugar in the recipe. However, if your recipe contains sour ingredients, such as lemons or tart cranberries, you may need to add a bit more stevia. Just be cautious in adding more stevia by starting with ½ tsp. of the liquid, and add gradually to suit your taste. Another way to use stevia for your beverages by the cup is by using a solution made by dissolving 1 tsp of powdered stevia in 3 tbs of filtered water in a dropper style bottle. If you use whole leaf and minimally processed stevia in moderation as South Americans traditionally do (once or twice a day in a cup of tea, or once a week in a dessert, for example), it isn’t likely to harm you. But if stevia were marketed widely and used in diet sodas, its chemical extract Reb-A would be consumed in large quantities by millions of people, and that might pose a public health problem. However, as far as zero-calorie sugar substitutes go, stevia—and even rebiana—is far safer and more natural than other sweetening chemicals like aspartame (the blue one), saccharine (the pink one) or sucralose (the yellow one). Liquid stevia makes the ultimate sugar-free, homemade lemonade, and powdered stevia leaf is a great way to sweeten up homemade coconut milk yogurt. But as much as I had hoped to find a “sneaky” way to be healthy and eat dessert every day, stevia just isn’t quite the miracle food it has been claimed to be. I’ve used stevia since the mid-’90s and was dismayed to acknowledge that in a derived from it may not be a wise choice. I’ve recently switched to a cut leaf form that I put in tea. Thanks for this comprehensive run down on stevia. I’ve used stevia since the mid 90’s and was dismayed to acknowledge that in a derived form it may not be a wise choice. I’ve recently switched to a cut leaf form that I put in tea. I purchase this in bulk (1/2 pound) from the bulk herb store at thbulkherbstore.com. I like KAL brand Stevia that comes in a shaker that looks like a salt shaker. It has no after taste. I’ve tried all sorts of natural sweetners and I like stevia, but I’m a huge fan of xylitol – a natural sugar alcohol that has a very low calorie count and very low glycemic index number. Stevia has a little bit of an aftertaste for me that xylitol does not. I use SweetLeaf Sweetener Stevia. It has 0 calories, 0 carbs, and a 0 glycemic index! I love it in smoothies! If you’re interested, Jim May (founder and CEO of SweetLeaf and “Father of Stevia”)is holding a webinar on 10/27 and will discuss the difference between SweetLeaf and other brands, as well as the safety and health benefits of stevia. Its free and I already signed up! If you’re interested, here’s the link to the article where the link to register is embedded! Stevia is easy to grow. It is a tender annual so you need to plant it after the last frost and grow it through the summer. Pick leaves as you need them and harvest the whole plant before frost and dry the leaves for later use.